This entry was posted on January 1, 2019 at 11:44 PM and is filed under the bad. You can follow any responses to this entry through the RSS 2.0 feed. You can leave a response, or trackback from your own site. Another superhit for Ranveer with critical acclaim. Ranveer on a roll. Rabbit’s brahamastra looking dicy. After Gully boy there is ’83’ based on Kapil and 1983 world cup win. Oh boy Ranveer is killing the competition. 2020 has Karan’s Takht which I think will be success with sheer starcast and script. I think one becomes Superstar when one acts in a movie closer to his real image. Doing just Bajirao or Khilji won’t make Ranveer Superstar but Simmba’s boxoffice success will help him more. But its another matter that Ranveer has not impressed me in his regular movies like Dil Dhadakne Do where he was good but not exceptional. 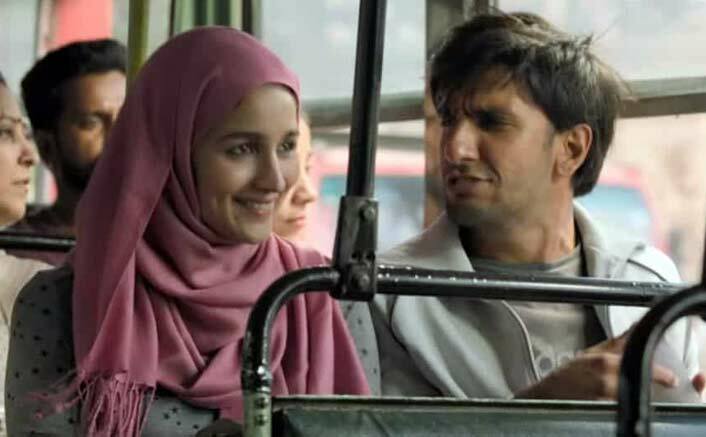 Gully Boy looks to be same but with new found confidence, I think he’ll nail it this time and deliver an exceptional performance. If he does that then SImmba and Gully boy within 2months is great range for any actor. Yes, agree. his previous movies with Zoya featuring Anil Kapoor and Priyanka / Anushka was good too. I am loving the frequency of movies that Ranveer is making. Good consistent regular hits is what makes a superstar. A miss or two is soon negated by a good hit and fans are rallying again. After the fiasco like of disaster with Adi Chopra, Ranveer followed up quickly with Padmavat and in the same year with Simbaa. 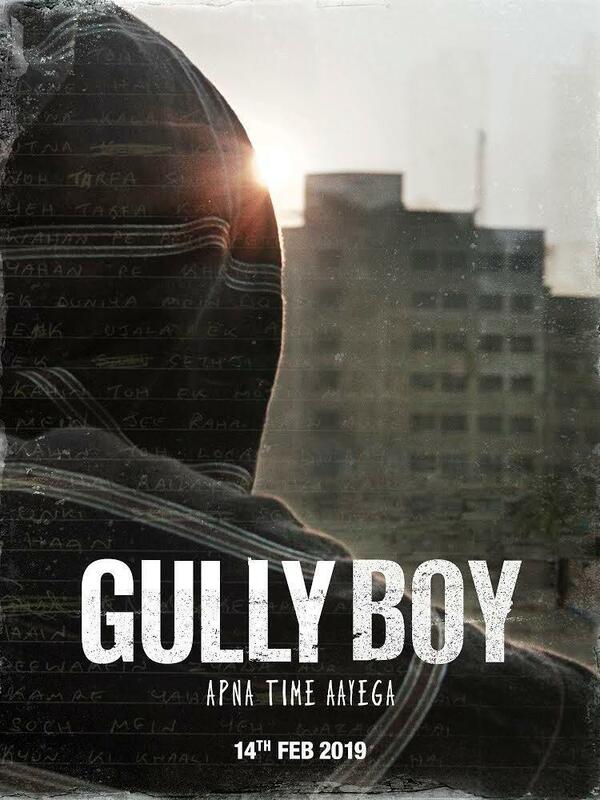 Now Gully Boys is very different and has a great cast with Alia Bhatt. The movie is releasing on V day when Alita, a hugely anticipated blockbuster, is also releasing. Both caters to multiplex audiences. I like Ranveer, but I have a fundamental problem with him, and more so, when he is placed on a pedestal. The term ‘super-star’ has been bandied about everywhere; with absolute disdain, from SRK, Salmam, Aamir, to Hrithik, to Anil Kapoor to Govinda, to, well. who have you. Ultimately, why is it that ONLY one actor who cuts across generations and the seismic nature of cultural tsunami still prevails? Why is it that not many are prevailing when weighed with the same balance? Why did Ranveer fail in BE-FU@#$%? Why did Ranbir fail in BESHARM? I was not completely convinced with Ranveer in Bajirao. I haven’t seen PADMAVAAT. The one scene that struck me from the preview was Ranveer seeing into the mirror and winking at his scar. That had potential.Is that the beginning, and the end? I haven’t seen SIMBAA. Folks are going ‘orgasmic’ over him nailing ‘masala’ a la- Bachchan. However, when I saw TAARAK MEHTA KA OOLTAH CHASHMAH, where he came to promote his film, his mannerisms, his finger-wagging shenanigans, were painful to watch — for me, to say the least. I am truly not sure; I still need more convincing, that he has all the ‘navarasas’ in-built in him a la-Bachchan, and sorry to say, I haven’t seen it as yet. I am ready now, for crucifixion, from the ‘young-blood’ cheer-brigade.. I find him loud, annoying but in the Bhansali and Shetty world I guess he works. In Bhansali’s 3 films he is overall the best thing IMO. He has energy to burn. I’d like to see him in a quieter, moody role. I prefer Ranbir for sure. I don’t care if Ranbir can’t do action, can Ranveer do a Tamasha? Ranbir over the lot for me. Hell, Bachchan was at ease and walloped the audience in AAA, in the so-called idiocy of MD, PM and all other films, and bloody hell, he could move your hears in DO ANJAANE when he talked of frugality when it came to buying vegetables or utter vulnerability when he sold Galvanometers in Basu Chatterjee’s MANZIL!! Where are the actors of this calibre? And that’s what pisses me off! You’ll never hear me compare any of these to BIG B. Even on performances this side of millennium, it’s obvious how great a natural actor Big B is. Stardom is a loose word, used lazzily by many. I don’t know why Amitabh’s fan are so insecure? Who is comparing Ranveer singh to Amitabh ? Dilip Kumar and Amitabh are on a different leauge. Even Amitabh is greater then DK. But Khan’s were/are also in a different world. It is like Sir Don bredmen and Sir Sobers. Everyone can’t be like them but then Richards, greg chappal, lara, ponting, kalki and sachin are also great in their on way. LOL..Did you read what I said? I talked about this since this stuff has always been talked of since 1980s when Anil Kapoor was supposed to dethrone him, then came the Khans, mainly SRK was supposed to. And now, it is Ranveer Singh. The problem is the loose usage of terms like super-stars or megastars; just like Taran Adarsh uses block-busters throughout. There’s no consistency. Superstar, to me at least, doesn’t just mean bringing in the moolah. It is how you cross-over, and convince folks that you can do ANYTHING, ANY ROLE. Acting in a Chatterjee film, in a Desai film, in a Mehra film, in a Mukherjee film, all with DIFFERENT sensibilities, and still convincing folks of one’s talent and bringing bums on the seat is super-stardom. I do not see Ranveer — as yet — there. He might, I am not sure. A superstar need not be a complete package. By any yardstick Salman is a superstar for many. So was Stallone and Schwarzenegger. These can be routine or generic superstars. Doing similar roles over and over again. Even in cricketer terms, McGrath bowled the same delivery 5 out 6 times on sixpence, that was his skill whereas someone like Akram had all kinds of deliveries. Like I watch Darts and snooker – the sports are not dynamic or stategic in the sense of others but 2 of my top 5 sports ‘superstars’ would be from these sports. There is an art to being a robot! The Salmania is itself something like this. I don’t strictly agree with it in every case as it will boil down ultimately to choices and preferences. And this guy can play ‘nearly’ as well with the other arm! Imagine that! Hopefully I will see him live later this month in London! He also won a World Championship in 2012, left the sport for a year only to return and win it again in 2013 without a single competitive match all season. That is pure genius in my book. Imagine Tendulkar switching arms and hitting a century! Imagine Woods winning The Masters swinging the other side! In this way AB De Villiers is a very unique cricketer. He could have played any number of sports professionally. His repertoire of skills makes him a superstar but not necessarily the greatest one. In addition to this, he’s a guy who’s passionate enough to immerse himself in the character. He spoke fluent Haryanvi in BBB and hindi with a marathi accent/twang in Simmba & Baajirao. Sonu Sood and Devgan who also play Marathi characters in Simmba had no such accent to show. They spoke plain Hindi. This is the difference between Ranveer and the other guys. He cares enough to lose himself fully into his characters. That’s what makes him stand out. Plus, he has an innate understanding of tone and pitch. He can play both subtle and loud/comic roles with ease. He’s in fact more actor than star. The only weakness or shortcoming he has is his voice. It’s not strong enough like Bachchan’s to create a long-lasting impact. I wouldn’t compare him to Bachchan at all, but he’s the best commercial actor-star we’ve had in years. Dont want to burden Ranveer with these comparisons. The media is going overboard as usual. He has given two very good performances and let us see him in a different avatar in Gully boy. Ranveer came out of SLB. And now he should do so by coming out of RS after doing one more film with him. I would like to see him in a Hirani film. I think Ranveer Singh is looking good with his over the top acting in movies like Simmba and others but once they tag him superstar, it’ll the sword hanging on his head. Also, his style is acting is very dated and people can become very bored quickly with his loud performances. Simmba will work now as the flavor of the season but you can’t bear to watch it 5 yrs or decade later and find it frustrating to sit through with his kind of performance style. Have you seen him in Lootera? Yes.. (on the release day) and liked him and seen others praising him on here but lemme call it out that pre-stardom phase. Once you hit stardom, you can never do a Lootera that easily. Its like one of the earlier Bachchan movies prior to super-stardom and Srk’s Kabhi Haan Kabhi Naa types before stardom. Its like he did variety of roles prior to realized his forte is over the top drama or masala and realized his forte. Once you reach stardom, that quality is gone IMO! If the economics are correct, one can do another Lootera anytime. Bachchan worked in a lot of Hrishikesh Mukherjee films post Zanjeer and Deewar. Nothing stopped those films from becoming hits. Stardom doesn’t automatically doom a genre. It’s always the economics. Price it right and everyone’s happy. No, nothing became success after Amitabh’s superstardom with Hrishikesh Mukherjee. Only movie Big B did after ’75 with Hrishida is Alaap and it released around Amar Akbar Anthony and you will NOT be surprised to know that Alaap didn’t run even 1 week anywhere. It was out in 3 days flat in many cinemas and its one of the biggest disasters of Amitabh’s career! They never worked again as Hrishikesh hates superstars! Really? What about Jurmaana, Milli & Bemisaal? You shouldn’t be talking to a Bachchan fan about his films! Okay.. I’m talking about successful movies. Mili is older movie and it was not a HIT movie but no one cared as it was too small movie even for that time. Same with Jurmana and Bemisal. Both are flops. Now, I don’t want to get into boxoffice debates of 30 yrs movies. If you think they are Hits, good for you. They are not flops. Alaap is a flop. The others aren’t. One cannot completely divorce the star from an actor after becoming a super-star. BUT one can channelize it, up it or lower it or dove-tail it into the character if one has the talent. One needs to know the pitch of the movie being shot and align with that. And that’s the genius of AB. BEMISAAL and JURMAANA were not flops. They weren’t super-hits either. CHUPKE CHUPKE was after AB became a super-star. Who on Earth thought he would delight the audiences in an extended special appearance playing a professor? ZANJEER was May 73 and ABHIMAAN was July ’73. And what did AB play in KABHIE KABHIE? A poet? How did that become a hit? Unless one wants to think it was only the songs in ABHIMAAN and KABHIE KABHIE that did the job!! I think YAKUZA has the comprehensive list of Bachchan’s hits. Here’s one site which has info on AB’s hits. His hits are staggering! Even if the ROI is termed average, they have made more money than other ‘hit’ movies of those years!! Back to this thread and film. 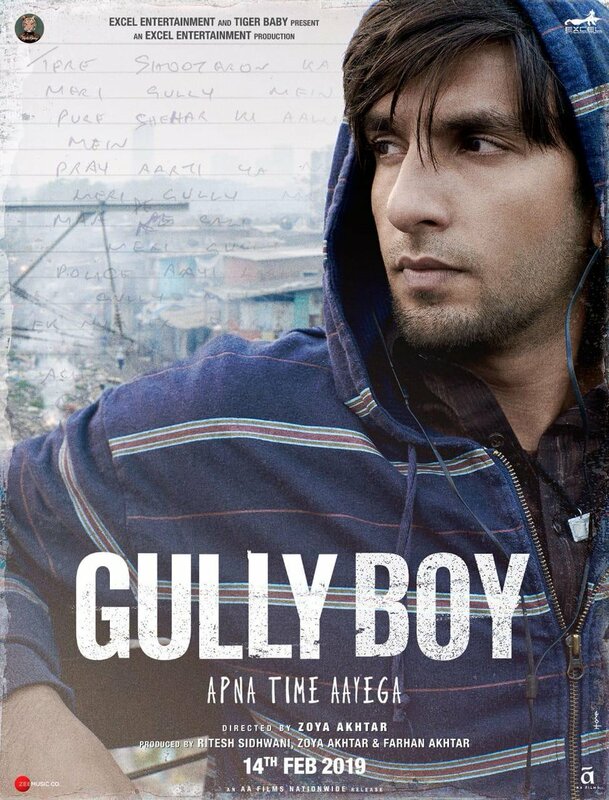 I don’t know why but Gully Boy is giving me vibes of Eminem’s 8 Mile? It’s a must watch for me as it’s got Alia Bhatt! It is about a rapper called Divine. So, it’s bound to be similar. Interesting, I know the British Asian hip-hop scene is quite big. One of my best friends is trying to make it for years now! This is definitely a film I will be interested in. I was a big fan of 8 Mile. Yeah, quite liked 8 Mile myself. yes jay.. liked all pics coming out from GB till now.. there something pleasant and attractiveness when you watch a good of under dog story. n also i like RS look here.. even the shades of pics is interesting.. Speaking of Ranveer, I treated myself to a mini-Ranveer festival over the New Year. LOL. Watched Simmba & Band Baaja Baaraat. Simmba’s first half is quite good and Ranveer is a hoot. He has some good lines to support his OTT character as well. The second half is pretty average and overall, the film isn’t a patch on Dabangg (I may love films like Tumbbad but boy, I love my masala cinema!). Rohit Shetty doesn’t know how to shoot action — the action scenes are quite poor. But, it’s still worth a watch for Ranveer’s bravura performance. He pretty much buries Salman’s Chulbul Pandey with this act. Pity though that the film itself doesn’t match up to Dabangg. Ranveer isn’t a scene-stealer in this one, he is pretty much the show. Take him out, and this film doesn’t stand on its two legs. On BBB, this is such a sweet film. One of the best YRF films in this millennium for sure. The small place sensibility of this film (it’s mostly about two regular people from Janakpuri and Saharanpur) coupled with their fierce desire to succeed in business, makes this a must watch. The characters are very real — they talk (and fight) like real people. The dialogues are grounded. Apart from a few improbable plot points, this film is a little gem. I won’t talk about Ranveer much, but he’s pretty good in his debut effort. He picked up the lingo, the look of a small-town boy quite well. And Anushka is quite good too. She looked so much better back then as well. Highly recommended! Liked BBB alot first time I saw it, never revisited it though. Also, Aamir has experimented quite a bit after achieving stardom. 1947/Earth and Dhobi Ghaat are two such (completely) experimental films. He was hardly playing to the galleries as a star in TZP or Dangal either. Aamir knows his economics quite well though. He prices his films according to its content. This is the key! Stars, when they wish to experiment, shouldn’t burden the budget with their price tags. Or their sense of vanity. Keep it tight, set the right expectations and there’s no reason why films can’t recoup their investment. I saw Ranveer in DDD and Padmaavat. Both impressive performances. He can do different roles with ease. And looks like boy or man next door. More boy than man! So far unaffected and likeable. No starry airs. Will he change with success? Stardom hit him after slogging for years and hardwork. He deserves this praise. He need not be under the shadow of his superstar wife like in Abhimaan. He is equal to her and that is always good for a good marriage. Deepika is number one. Ranveer still has to wait for that elusive number one position which is a bit difficult for male actors. Haven’t seen Dil Dhadakne Do. To be honest, I’m not a fan of Zoya Akhtar’s directorial skills. I pretty much despised ZNMD. Wasn’t too fond of Luck By Chance either. In fact, Zoya Akhtar directing Gully Boy is a red flag for me. surprisingly LBC by Zoya is the best film she has directed…aamir had a cameo in this and he enacted Guru Dutt in the very first scene…what a scene that was! Wow, nice to meet you the other end of spectrum. Totally love both ZNMD and Luck by Chance and are my most watched movies and can watch them any number of times if they are playing on TV and I believe Zoya is truly talented and tad more deeper than even Farhan! DDD on the other hand still watchable was old school melodrama set in richer family and that didn’t come out as well though it had some good sequences and performances. Yes, there’s not much to add to the chorus on this one. Except for one tiny little positive note about Hrithik. I haven’t read all the reviews but if there’s a feeling that Farhan Akhtar ‘stole’ the show then IMO those feelings are just bogus. There are only fleeting moments when the acting appears to be genuine…and in my opinion all of those moments belong to Hrithik. ZMND is so overrated! LBC was way better. Only liked the Farhan, Naseer track. Everything Hrithik and Katrina was so pointless. And what has happened to Abhay Deol? Do people forget that he’s Sonam Kapoor’s cousin? Hard work notwithstanding, the narrative of being a self made outsider is a little misleading! Besides the fact that one of the biggest production houses like YRF launching a leading hero FIRST TIME and signing him 3 film contract and signing 2nd movie before release of 1st movie’s release. Without beating around the bush that’s great safety net for a newcomer. There were reports that Ranveer Singh’s father pumped 10 crores to get his debut movie and the rumors went so ahead that even Ranveer Singh had to clarify its not true. “What you should also know is that Sonam and Ranveer Singh are second cousins. All have played it so differently, with their own style, charm and honesty. Somehow i feel an actor’s journey needs to have a cop film. There is certain aura to the uniform where you have to deal with law and order and not country’s security. Interestingly i cannot remember SRK and Rajesh Khanna doing a memorable cop movie. nice list Naveen considering only Hindi movies and not taking others regional movies into account..
Aamir didn’t wear the police uniform in the entire movie, not once, yet he was so effective!! Aamir also had Talaash. Srk has 1 2 ka 4 but its not true cop film. Rajesh Khanna had something later in career but nothing significant.